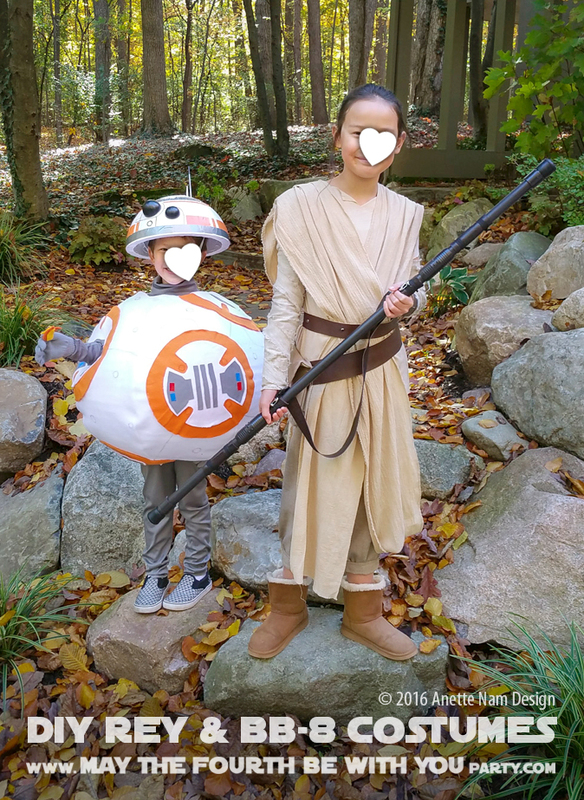 I’m thrilled to finally share our kids’ Halloween costumes for 2016: Rey and BB-8! 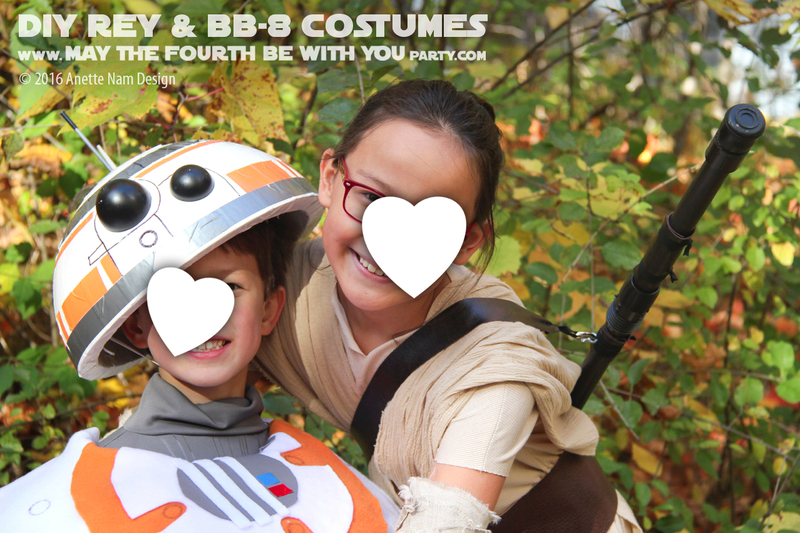 (YES, that BB-8 in the picture is a costume) Last weekend, both our little Star Wars fans got all dressed up and we took a bunch of photos. I hope you enjoy them as much as we do! I will do detailed write-ups and how-tos of both costumes at a later date. If you have any specific questions before then, feel free to ask in the comments! Rey is all business while BB-8 is partying it up. Even a droid wants a snuggle now and again. Mom got a big thumbs up! They loved their costumes. Who would have guessed that Rey knew how to do a Vulcan Nerve Pinch? Make sure you check in on Monday, when we will have additional photos from our photo session! UPDATE: You can see them here. AND, there is still time to enter our Star Wars bracelet Giveaway. Click here for all the details. 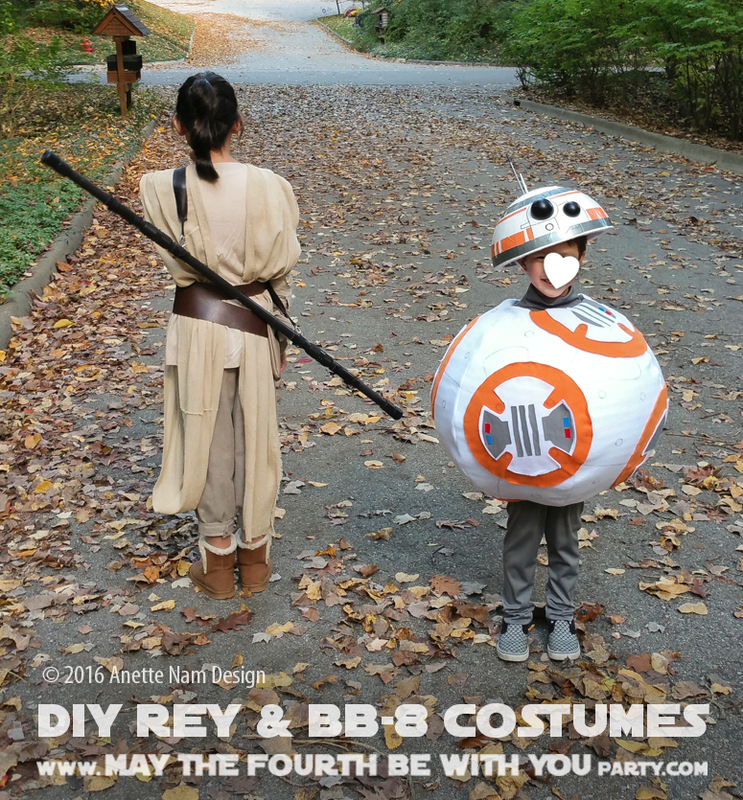 omg that BB-8 costume is too cute! I thought it was a prop at the first photo until I saw it’s an actual costume lol! The Rey looks awesome too.